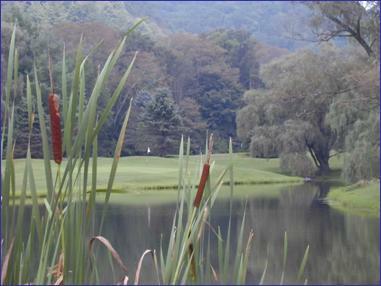 One of the South's premier golf facilities, designed by Ellis Maples, opened in 1959 and available to the public all season-April through November. Located in a beautiful valley, just north of Blowing Rock, the course features level to gently rolling fairways, large undulating greens and breathtaking views of the surrounding Blue Ridge Mountains. Well stocked Pro Shop, restaurant and putting green available. Tee times are recommended and groups are welcome. A family-oriented mountain community and private club established in 1964, Hound Ears is known for its warm atmosphere, friendly people and authentic charm. Amenities include casual and fine dining, award-winning golf, two miles of hiking trails, private fly-fishing park, one-acre dog park, clay tennis courts, outdoor/heated pool, 24/7 fitness center and numerous social events. With approximately 310 members, Hound Ears Club cultivates a small-town feeling, an echo of a simpler time while still embracing the latest in amenities and technology. Hound Ears is a club for all seasons. 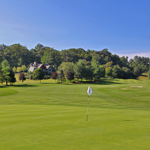 Jefferson Landing's award-winning golf course was designed by US Open and two-time PGA Champion, Larry Nelson. It's a 7, 110-yard, par 72 Course that features five sets of tees, Kentucky Bluegrass fairways and bent grass tees & greens. Linville Ridge provides a truly prestigious private country club living experience with luxurious and elegant properties. There are great lifestyle amenities including golf, tennis, fitness, spa, pool, youth programs and five restaurants - all on 1,800 acres of spectacular natural beauty. Located in the town of West Jefferson in unspoiled Ashe County. We are just 40 minutes from Blowing Rock. Our beautiful 18 hole championship course has been recently remodeled to include three new spectacular holes and a new pro shop and snack bar. We have gorgeous home sites and townhome sales and rentals. 9 hole par 3 Executive Course. Only 5 minutes from Boone. For tee times and other information, please call.